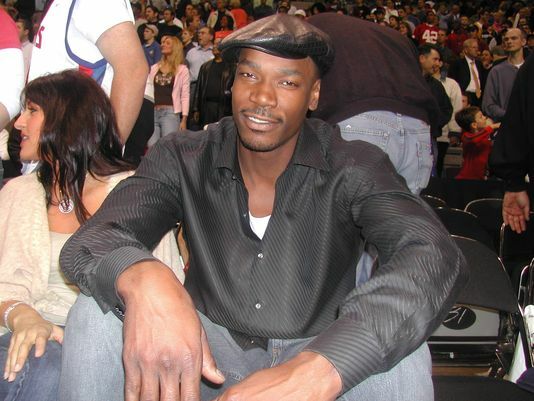 Cliff Robinson went from being “Uncle Cliffy” on the NBA court to “Uncle Spliffy” off it. You remember Robinson from his time as a power forward with the Detroit Pistons from 2001-03, just before the team captured an NBA championship in 2004. Robinson has a history with marijuana during his NBA career — he was arrested for marijuana possession and driving under the influence while with the Phoenix Suns in February 2001, a season before he joined Detroit. He also served suspensions in 2005 and 2006 for violations of the NBA’s drug policy. Indeed, times are changing. Recreational marijuana is now legal in four states — Alaska, Colorado, Oregon and Washington — and 23 states, including Michigan, have legalized medical usage of marijuana. And though marijuana usage is still illegal in the NBA — an issue many players want addressed — Robinson advocates for professional team doctors to consider using cannabis to treat pain and other ailments instead of pharmaceuticals. “I think we definitely have to continue looking into cannabis and the benefits that it has, the health benefits that it has, because I think it’s come leaps and bounds,” Robinson said. Robinson played in the NBA from 1989-2007 for five teams, averaging 14.2 points, 4.6 rebounds and 2.2 assists. He was a starter at power forward for two years in Detroit, helping lead the team to back-to-back 50-32 records under head coach Rick Carlisle. Robinson also starred in the popular reality TV show “Survivor” in 2014, when the series took place in the Phillippines.